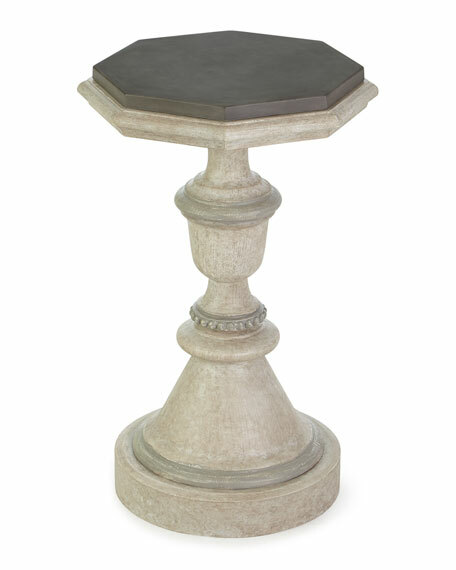 The sturdy pedestal of this table evokes the urn-shaped balusters of a European terrace; the octagonal top a cast concrete. The parawood base is finished in a two-tone combination of Mist and lighter Cirrus. Handcrafted side table with concrete top. Hardwood frame with elm veneers. 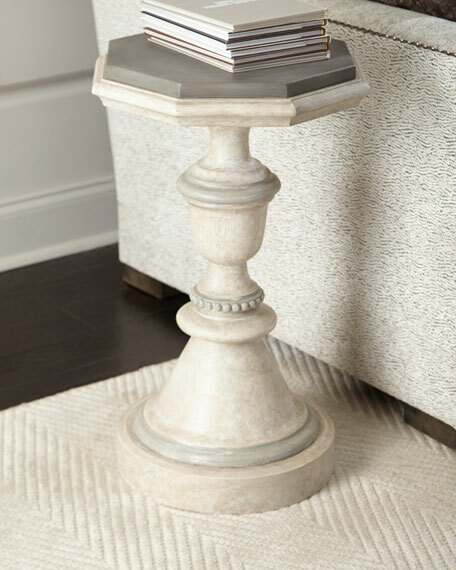 Handcrafted transitional side table. Rubberwood, stone, and metal. Chrome finish. 30"Dia. x 30"T. Imported. Boxed weight, approximately 88.18 lbs.